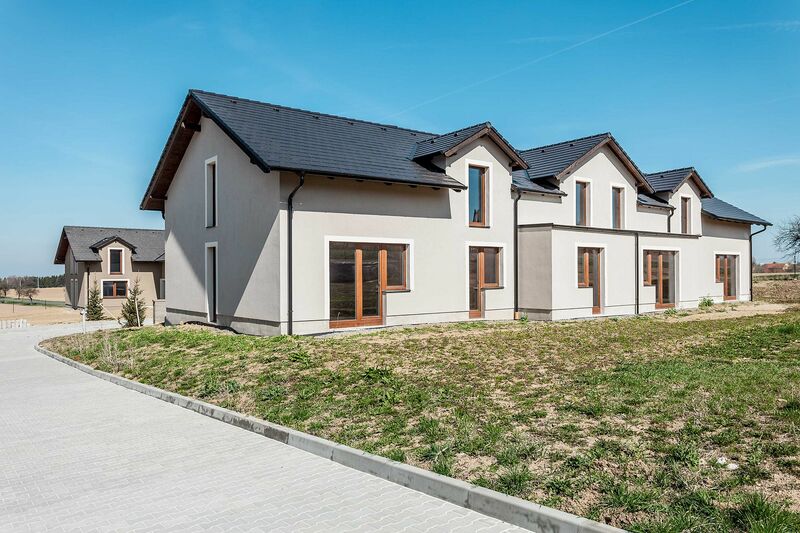 Practically designed terraced and semi-detached houses with garden duplexes in a newly emerging residential project in a little town near Prague.The location offers quiet and peaceful family living in a popular recreational area with the sought-after hotel resort, as well as an abundance of opportunities for sports and relaxation. In addition to a popular hotel complex with a fitness center and outdoor sports facilities, the peaceful toen features, for example, an equestrian club. 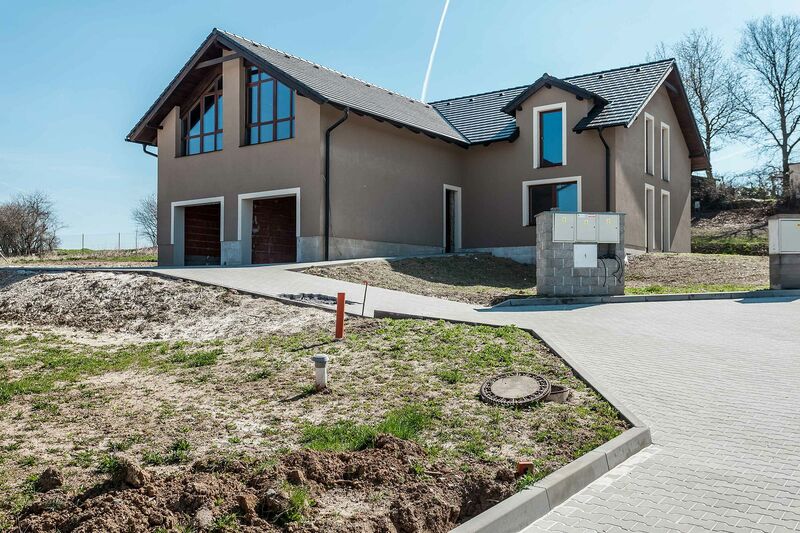 All amenities, including a large shopping center, accessible within a 10-minute drive in nearby Průhonice. 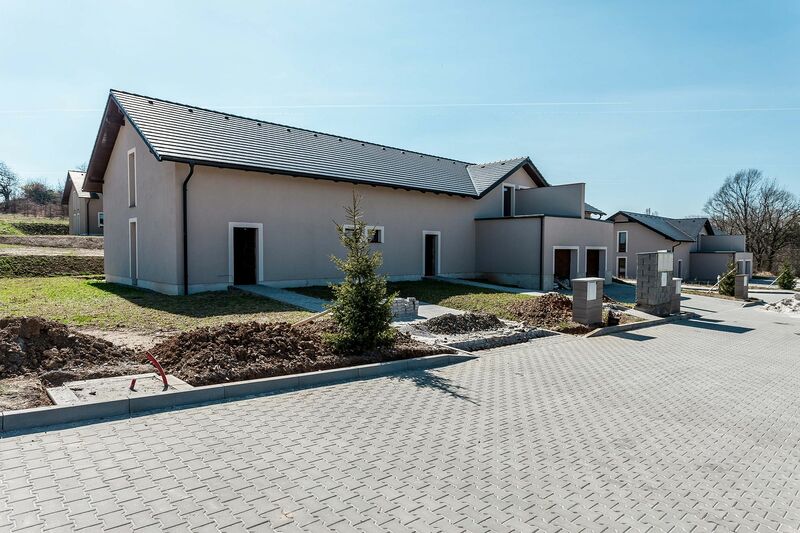 There are elementary schools in Velké Popovice and in Říčany, while a kindergarten is just 1.5 km away in nearby town. Directly from the village you can also get a convenient bus connection to the Opatov metro station. Approx. 15 minutes to Prague by car via the D1 highway. 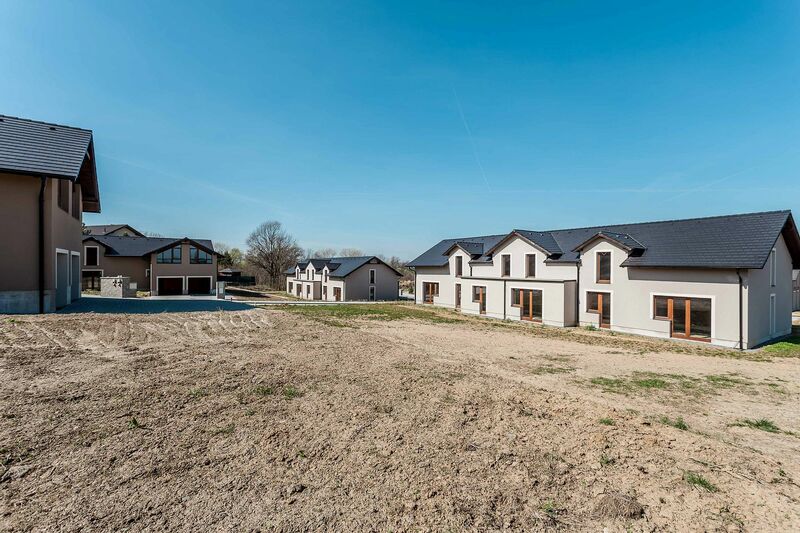 The project offers a total of 14 duplex apartments in terraced or semi-detached houses, with three-bedroom (4+1), four-bedroom (5+1) and five-bedroom (6+1) layouts. 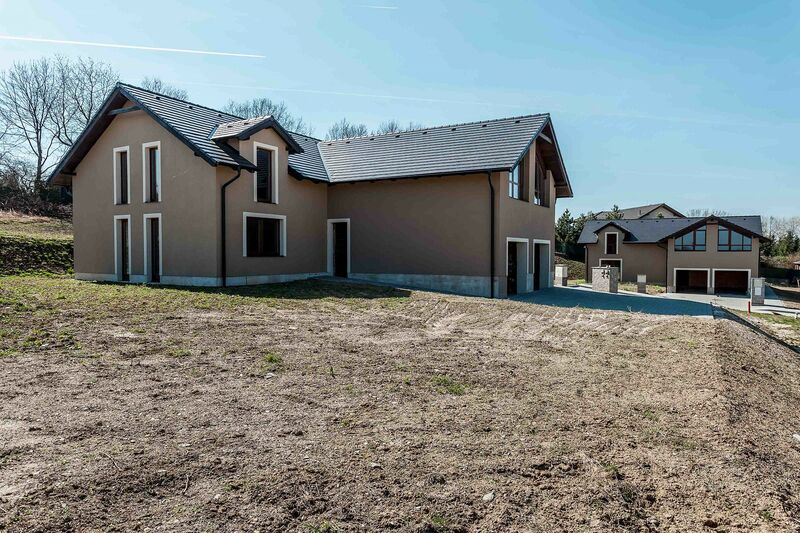 The usable areas are ranging between 145 and 259 m2; each apartment also has a private part of the plot, from 300 up to 1 431 m2. The houses are currently for sale in the state of shell & core, i.e. with finished partitions, ceilings, roof, windows and facade. Completion of the floors, tiles, plumbing installation, roof insulation and other related works will be up to the new owner.